There's nothing quite like writing with a handmade pen by Samuel B. These gorgeous writing instruments are crafted from precious sterling silver and are intricately etched by hand for a striking final product. 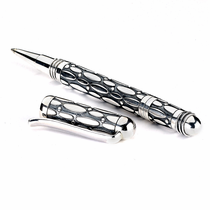 Handmade sterling silver pens make excellent gifts for writers, accountants, attorneys, teachers and - of course! - pen collectors. Titanium Jewelry is pleased to help you find the perfect silver pen by Samuel B., including sleek designs from the Samuel B. Bali Collection featuring individually crafted pens made by master silversmiths in Bali and Thailand. Click to Read More. If you're looking for a truly special pen to give as a gift, choose a Samuel B. pen embellished with genuine gemstones, including garnet, amethyst and blue topaz. These thoughtful pens will be cherished for a lifetime. Step outside the basic gift-giving box and surprise your favorite pen-lover with one of these sleek silver pens. Each one comes with a premium wooden box for a gift-worthy finish. 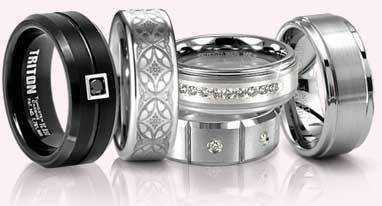 Titanium Jewelry is a family-run business established in 1988, and we're happy to help you in any way you need while you're shopping with us.